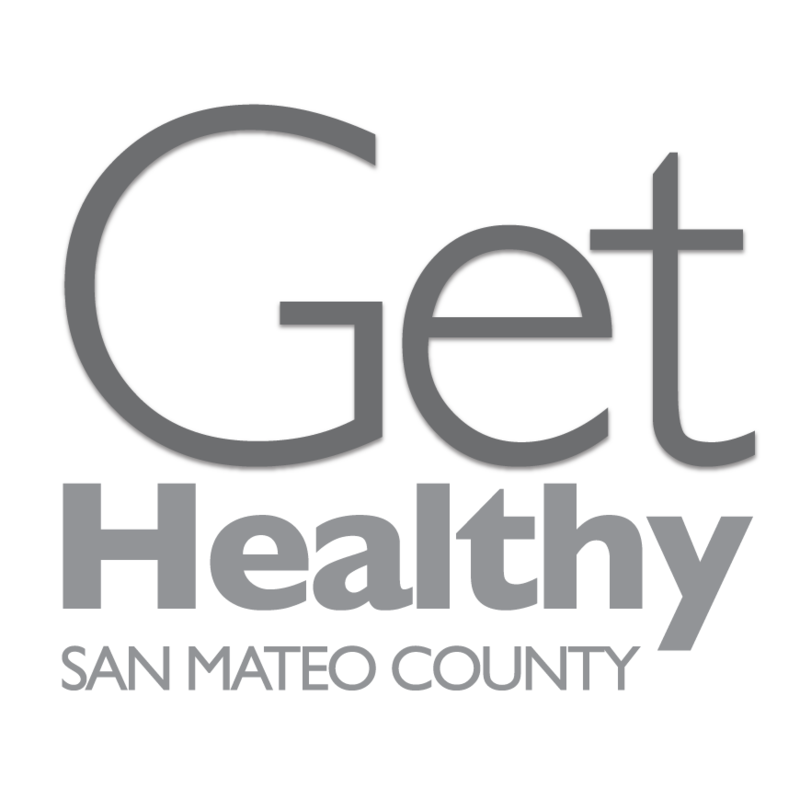 San Mateo Medical Center is proud to be recognized by The Joint Commission as a Top Performer on Key Quality Measures®. We were recognized for improving performance on interventions that increase chances of healthy outcomes for patients in four areas: heart attacks, heart failure, pneumonia and surgical care. How did we get there? We believe in continuous improvement. Our providers and staff use Lean tools and principles to understand our current processes and improve them to optimize care and improve our patients’ experience. We consistently measure our performance and compare ourselves to national standards to ensure our patients are getting the best care possible. 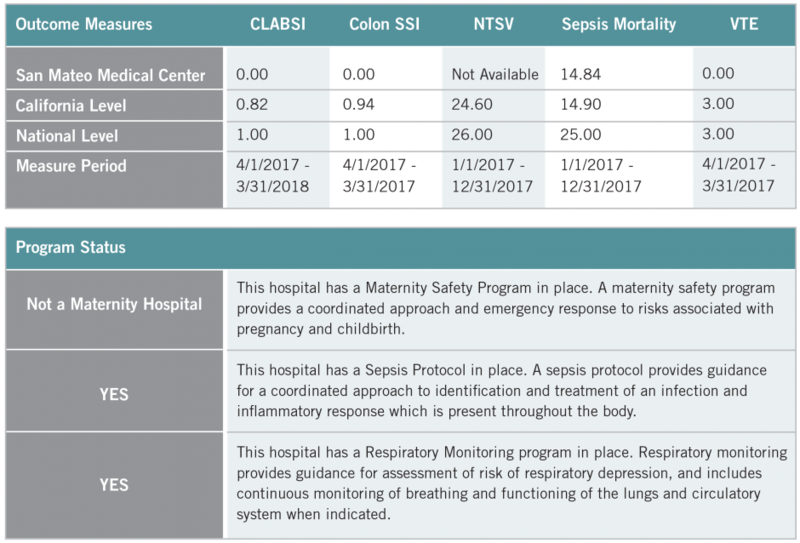 In 2018, the Hospital Quality Institute (HQI), in cooperation with the Patient Safety Movement Foundation and California Hospital Association (CHA), launched their Advancing Transparency in Hospital Quality Data project and have invited every hospital in California to participate. The CHA and HQI believe that hospitals need to be more transparent to the public and that transparency is critical in driving overall improvement in patient safety and quality. Because we take patient safety and quality seriously, we are proud to participate in this project. A central line is a tube placed in a large vein in the neck, chest, or groin for giving medicines or fluids or to take blood for tests. Germs in and around this tube can enter the blood stream to cause a serious infection. This illness is a central line associated blood stream infection. The number shows how many infections of this type of occur out of all patients using a central line. The colon is part of the large intestine. Colon surgery occurs when a doctor uses tools to provide care inside the abdomen. Germs in or around the surgery site can cause infection. Infections can occur on the skin or deeper in the tissue. The number shows how many of these infections occur. A lower number is better. A cesarean birth is when a doctor delivers the baby by surgery through the abdomen. Some cesarean births are needed for medical reasons. A lower risk birth is when: A mother has her first baby. There is only one baby. The baby is more than 37 weeks along. The baby’s head is pointed downward for birth. Some lower-risk mothers may not need a cesarean birth. The number shows how many cesarean births occur out of 100 lower-risk births. Sepsis is a severe infection. It occurs through the whole body. The number shows how many patients involving sepsis died at the hospital out of 100 patients involving sepsis. A lower number is better. A blood clot can clog a blood vessel. Clots may prevent blood flow. Veins found deep within the body may develop clots. Some medicines may prevent these clots. The number shows how many patients developed a clot while in the hospital. These patients did not receive medicine that might have prevented the clot.